You cannot overlook the power of social media platforms in building your online presence and marketing your products or services. Instagram is an important social media platform to build your online presence for your target audience and gain momentum in promoting your products and services through followers. Generating a following on Instagram manually takes a lot of time and effort. To help you with this, Instazood created Instagram Bot. 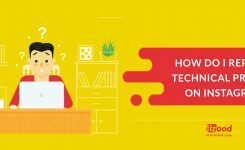 It is an artificial intelligence or AI that’s specifically designed to help you generate the following you need to create a useful online presence and promote your enterprise. Instagram Bot generates a following from real followers, targeting real and active people that are within your target audience demographics. Think of it as an extension of you, following real people and engaging in activities on a platform that is as sustainable as if it is you following and posting. Set the parameters for your target followers. Instagram Bot focuses on the people within your set parameters, engages with their pages and follows these people for you. And these people will look into your page, and if your page and posts are within their qualifications, they will reciprocate and follow you. Instagram Bot has the advantage of settings and filters to help you attract and engage with more active followers. Finding real followers that will sustain and help you create an online presence was an essential goal of Instazood in creating the Bot. 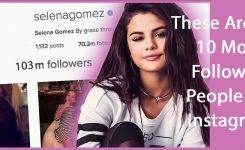 Get followers from other pages. With this target pattern, you like, comment and engage with followers of similar pages – similar to qualities of your brand, product or service. Target followers from lovers of a specific hashtag. Hashtags are the bread and butter of Instagram. Follow and get the following of specific hashtag lovers relevant to your brand and product. Target the followers and the creators, users, and owners of specific hashtags in line with your brand or product. These creators, owners, and users of specific hashtags influence the whole ecosystem or niche market that you are targeting. Targeting a specific area or location, Instagram Bot will target people within that area or location for your area specific branding or promotional needs. If you are targeting a specific area or location for your brand or product, this is the best pattern for you. You follow locals and get their following. Get a follower from a specific list. If you already have a marketing list or lead from your newsletter or email subscribers, Instagram Bot will follow, like and comment on these people’s accounts. 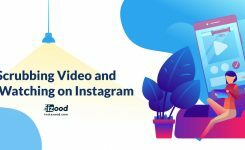 Instazood Instagram Bot is precisely the kind of marketing AI you need to keep your presence on this social media platform active and moving towards a vibrant online presence. Be on top of your social media strategy and get the followers you need to Instagram Bot.